Valentine’s day is the time of year when every girl deserves to look pretty. Whether its your date, a family party or a valentine’s eve, you have to get into the romantic spirit. 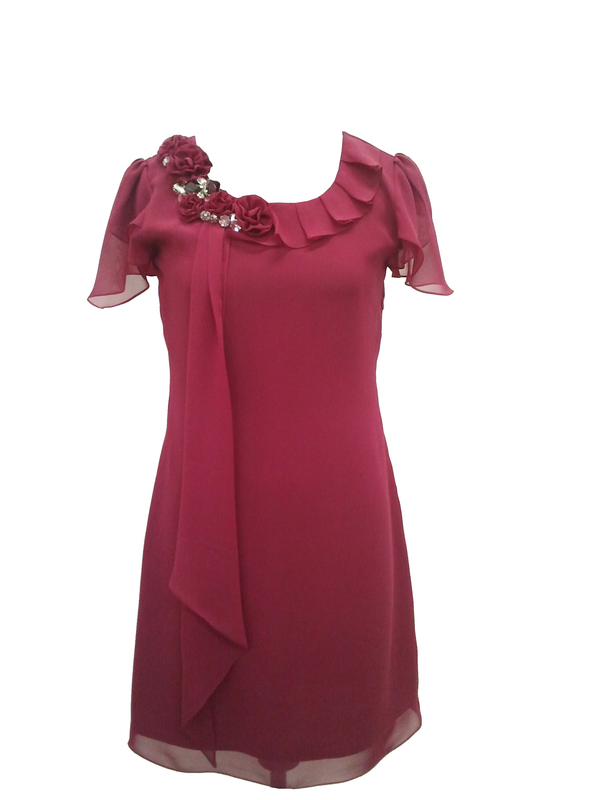 What would be a better way than to wear a pretty dress to show your valentine spirit. These 5 best Valentine’s day dresses by The Citrine are sure to flaunt your style and fit in your budget. Coral Pink Ombre Pleated Dress. The rhinestone and beaded floral embellshment makes sure that you shine during your parties or date. Buy @ discounted price of $160, TheCitrine.com. Princess Pink Ombre A Symmetrical Dress. 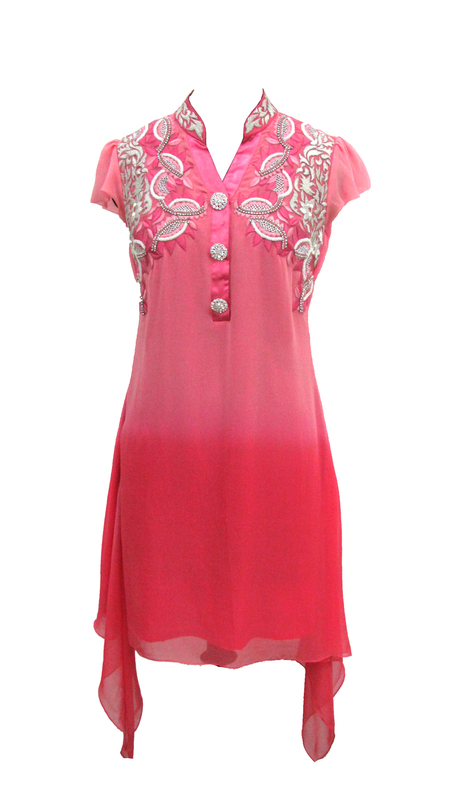 Traditional floral pattern embellished with hand embroidery and rhinestones crystals. Chinese collar with embellishment and Silk Satin placket. Crystal encrusted buttons will make you look absolutely stunning. Buy @ discounted price $160, TheCitrine.com. 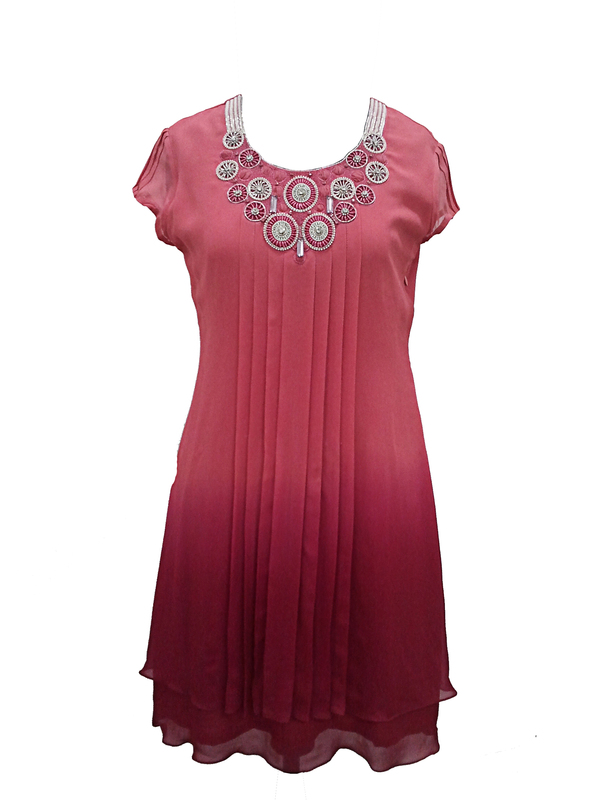 Fuchsia Ombre A Symmetrical Dress. Zari embroidery on both sides at armholds. The sequined neckline and scattered Swarovski crystals makes it elegant to rock during your cocktail parties. Buy @ discounted price of $170, TheCitrine.com. Rose pink draped dress. Ruffled neckline with a floral and crystal embroidery on one side. This dress creates charms on everyone. Baby Pink ombre layered dress. Rhinestone and embroidered detailing on the neckline and armholds. Front slit with cutdana embroidered trimming. For buying related or any other inquiries kindly write to us at: info@thecitrine.com or call us at: 91-11-40568642 / 65515222.